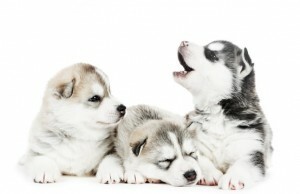 If you are purchasing a Siberian Husky from a typical reputable breeder you can expect to pay between $300 and $500 for a puppy. If the parents of the puppy are winning show or sled dogs then this will be closer to $800-$1000, even as high as $2500! Because the AKC Breed Standard for Siberian Husky is quite specific about the size, weight, and physical appearance of what a Husky should look like. If the parents of a puppy both meet the standard and have been winning shows, there is a good chance the puppy will also be of such a high standard. There is a similar reasoning for sled / racing dogs. If the parents are successful at winning races, built for endurance and power, then the puppies are also likely to be suitable for sledding competitions. There is no guarantee that the offspring of champion parents will themselves be champions, but it’s better chance than mating two domestic Huskies. Great! No problem at all with that. Most dogs ever owned will be loving members of the family and never be put on stage or put in a race. For this reason you can look at breeders who are still keen and capable of matching animals to better the breed, but might not be attracting the show parents. Some breeders might lower their price to $150 to help find their puppies a home. Keep in mind that the breeder still has to pay for housing, food, vaccinations and other vet bills, not to mention their time in training and socializing the pups. $150 is pretty cheap for the service offered. Believe it or not pet shops are likely to charge more for puppies because they have rents and retail margins to make. We would generally not recommend buying from a pet shop as many are fronts for puppy mills and dogs are not necessarily bred for the betterment of the breed. That is, to improve physical qualities, health, and temperament of the animals. We have put together a guide on alternatives to buying from a breeder which should give you some ideas where to look. These include classifieds, agencies, and local breeders who might not advertise. Just remember that over the course of a Husky’s twelve to fourteen year life, the purchase price is going to be relatively insignificant compared to food, health checkups, and other costs associated with keeping animals. 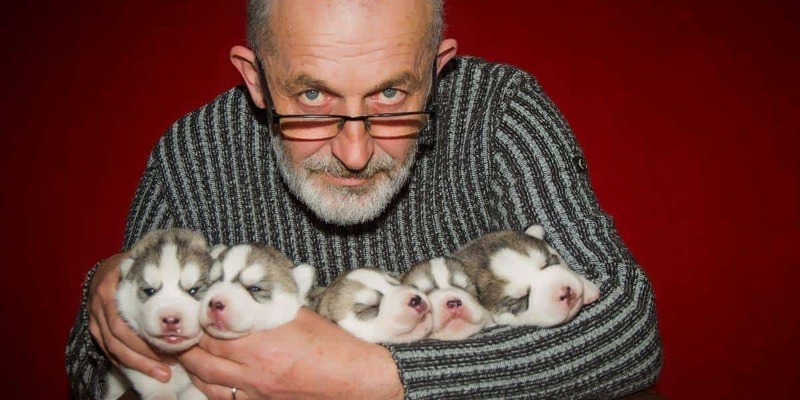 So while you might be tempted at the start to save a couple of hundred dollars, perhaps you are better off purchasing from a reputable breeder with a track record of producing healthy, happy, and ideal puppies.